A sweet eight drawer lingerie chest from about 1950 is signed "Colonial" of Van Zeeland, Michigan. Mahogany with rosewood panels, the satiny finish is in excellent condition. 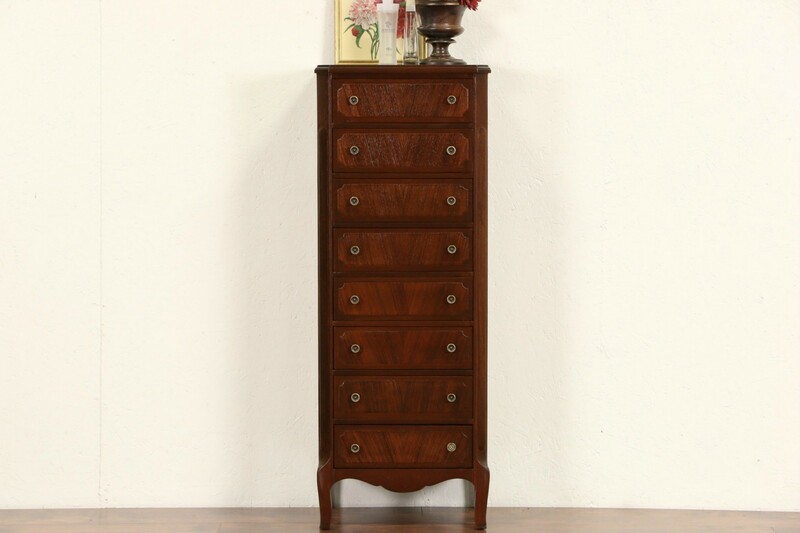 One bottom knob is slightly different, see photos of this American made vintage furniture. Measurements are 16" wide, 12" deep and 42 1/2" tall. Dovetailed drawers have solid mahogany sides. See 18 photos on Harp Gallery website that enlarge to full screen size.